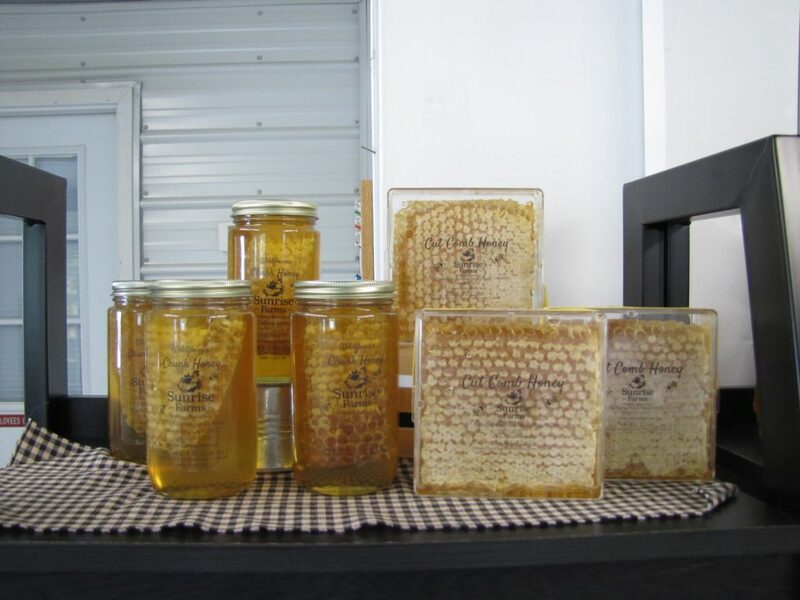 Hives On Our Non-GMO Farm Produce Delicious Local Honey! 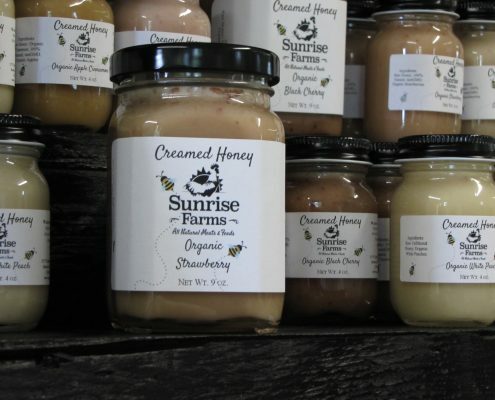 Throughout the year, we sell raw wildflower honey from our farm hives. 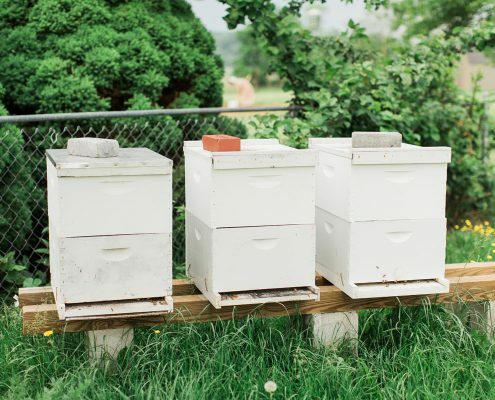 Located on our family farm property, we cultivate our hives for delicious local honey. 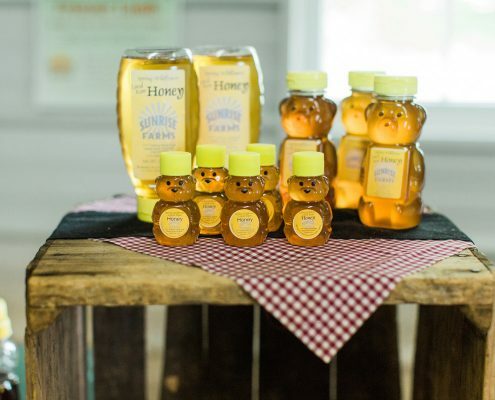 Available for purchase in our storefront or as an addition to a regional meat delivery, our unfiltered wildflower honey comes in traditional honey bear containers in both 2oz and 12oz sizes. We also sell family-sized 16oz jars, quarts, and gallons. 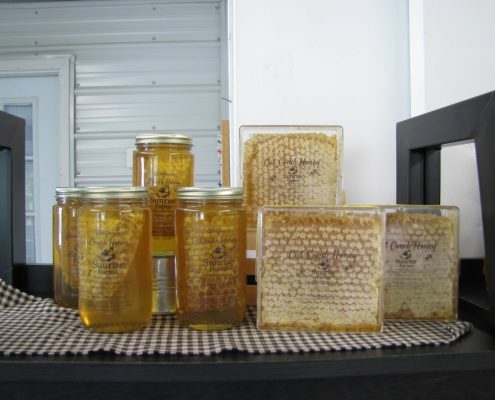 In addition, we offer chunk comb honey, honeycomb, and honey creams. 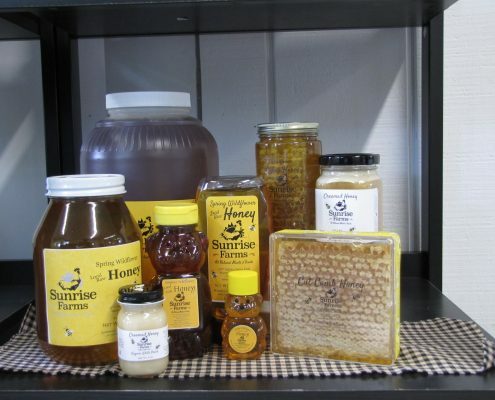 When you stop in for our local honey, be sure to take advantage of our stock of all-natural eggs and all-natural beef, pork, lamb, turkey, and chicken as well! Our Open Pastures Provide An Ideal Location For Honey Bee Hives. 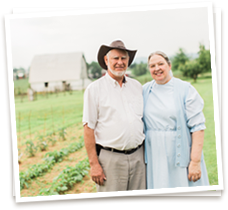 We plant non-GMO native Virginia grasses in our pastures and never use pesticides. By farming with intensive grazing practices, we allow the soil to naturally rejuvenate as our animals happily forage and graze. Creating the ideal location for honey bee hives, our farm is a combination of gardens, pastures, woods, and natural water supplies. We partner with a knowledgeable local bee keeper who supports the care and health of our bee hives. 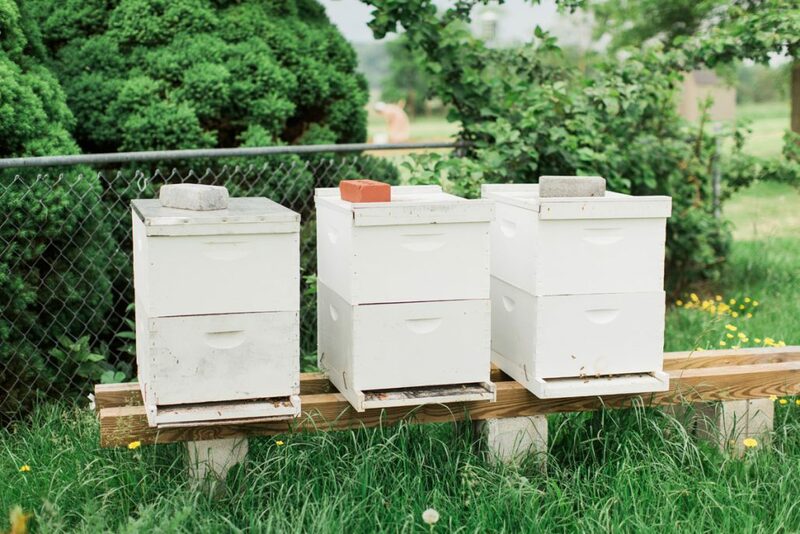 Local honey bees not only support the health of our environment, but of our farm and the people who enjoy the delicious raw wildflower honey they produce. 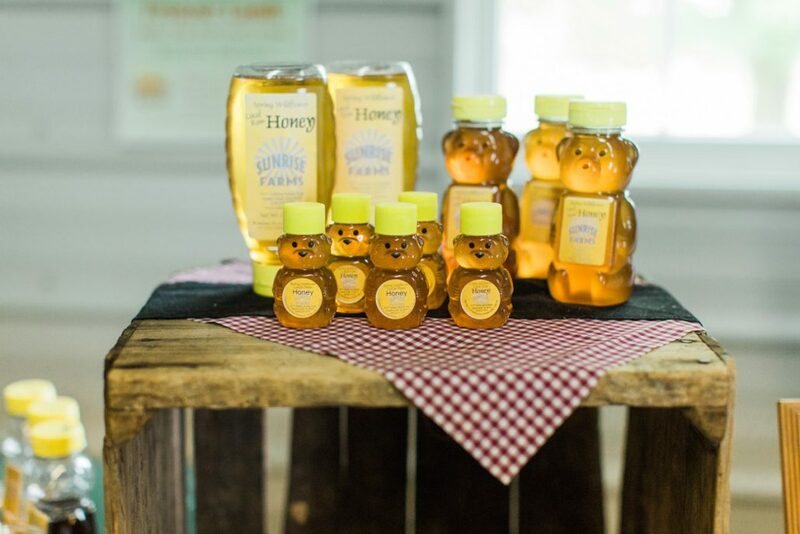 Enjoy The Bounty Of Our Non-GMO Family Farm With All-Natural Meat, Eggs, and Honey. 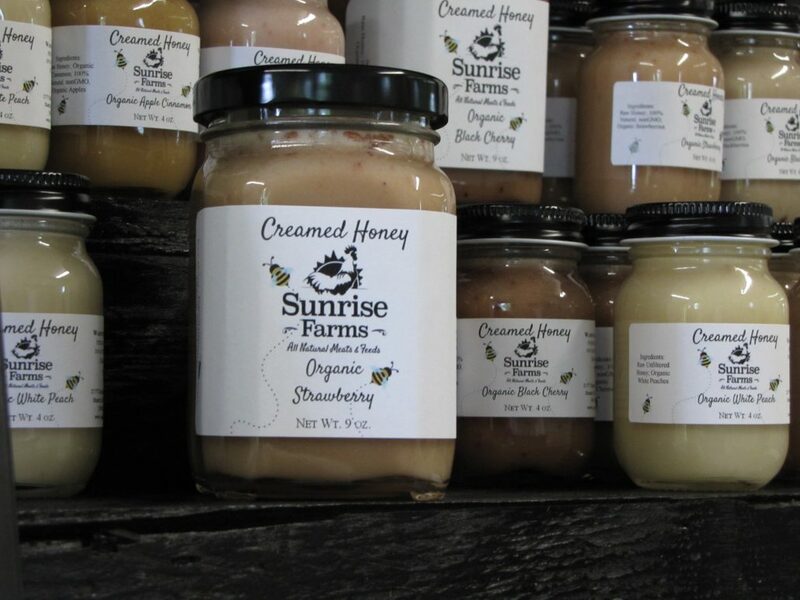 For the all-natural meat, eggs and honey to complete your favorite recipes, we welcome your visit to our storefront, conveniently located at Sunrise Farms just 3.5 miles off I-64 exit 91. Stay current with our specials and seasonal discounts by signing up for the Sunrise Farms email list. 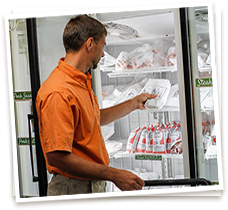 Our regional delivery conveniently delivers to your door our all-natural non-GMO meat, eggs, and honey. Delivery ranges from Winchester, VA, to Washington DC Metro Area, to Richmond, VA, and all points in between. 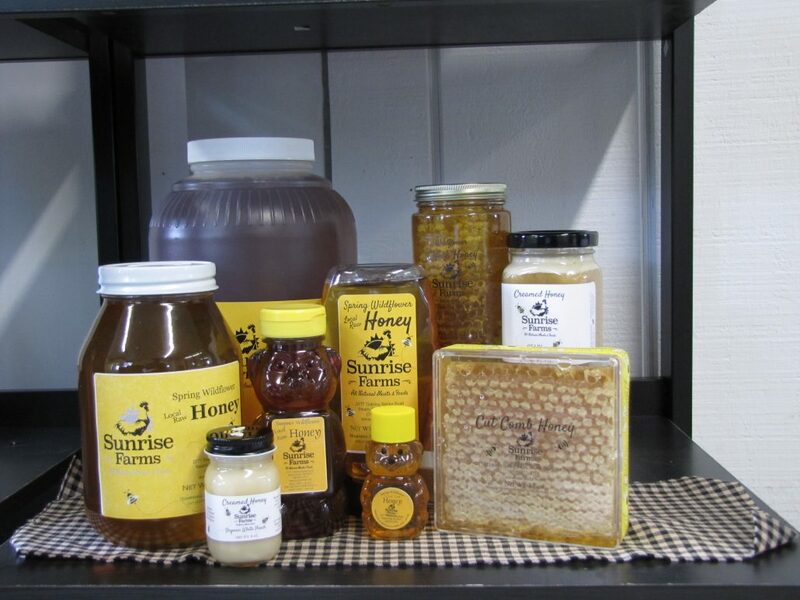 Contact Us Or Visit Us For Local Honey From Our Non-GMO Family Farm Today.